There may come a time when your vehicle is in need of auto body repairs after experiencing an accident. Several insurance companies throughout Ballarat recommend their client to choose Barry James for exceptional repair services. Over six decades ago, the philosophy at Barry James was to serve the people of Ballarat in the highest standard possible; years and years later, our philosophy is stronger than ever. From 24 hour towing services to our state-of-the-art panel repair workshop, paint shop and more, Barry James is here to provide total care and total commitment to each client we serve. Our shops are filled with skillful employees who are dedicated and passionate about repairing your vehicle in order to get you back on the road in a timely fashion. Contact us if you'd like to know more. Using the most up-to-date equipment available in the industry, our panel shop team ensures that your repairs are of the finest quality on the market! ​If you're in need of some panel work, contact us today. When your vehicle is in need of professional paint services, choose the experts in the industry with over 60 years of experience. The Barry James team uses top-quality environmentally friendly water-based paints, and our paint shop features Seetal down draft spray and bake ovens. 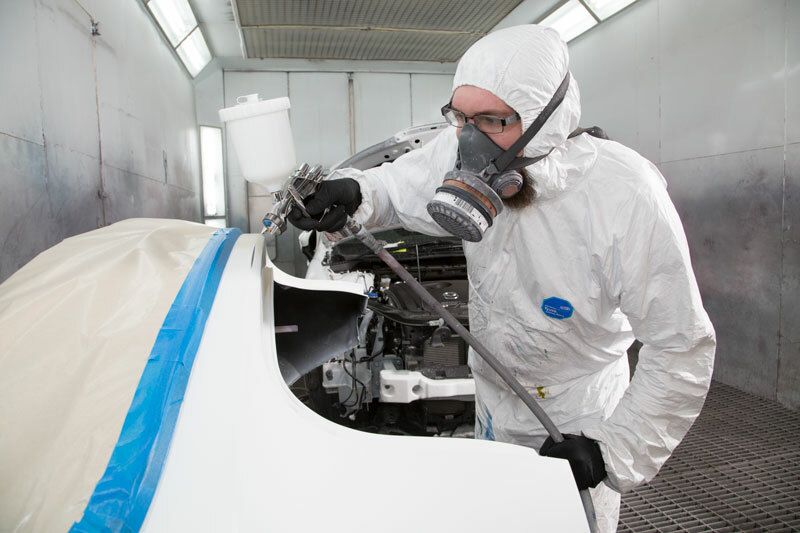 If you'd like to know more about our spray painting services, contact us today. I have been involved in a vehicle collision, what exactly do I need to do at this point? Any time you are involved in an automobile accident, you are required by law to stop. And whenever there are personal injuries, or property damage, you must call the police. If the accident looks to potentially cause a problem to the current flow of traffic, notify the police. Stay relaxed and steer clear of disputes. Don't acknowledge legal responsibility. Exchange name and address with all the other parties (we HIGHLY recommend you ask to see identification) and also witnesses if any. If possible also obtained the insurance company details and take pictures from your phone camera. If your vehicle is actually able to be driven, you may call us to arrange for you to bring it in to our shop for an estimate. We have all the insurance companies' claim department details and we can help you to get your claim processed right away. Do I need to book a time for a quote? No, you do not need to arrange a time for a quote. Please just come and see us when it is convenient for you. Do I need to pay for a quote? Quotes are prepared free of charge. A quote will take 5-10 minutes. Does my car need smash repairs or panel beating? It can be very time consuming to try and determine whether your vehicle would benefit more from smash repairs or panel beating. Wouldn't it be better to go with a trustworthy repair company that provides both services? Barry James Auto Body Repairs have several years of experience in both fields, and services the needs of various customers from all walks of life. 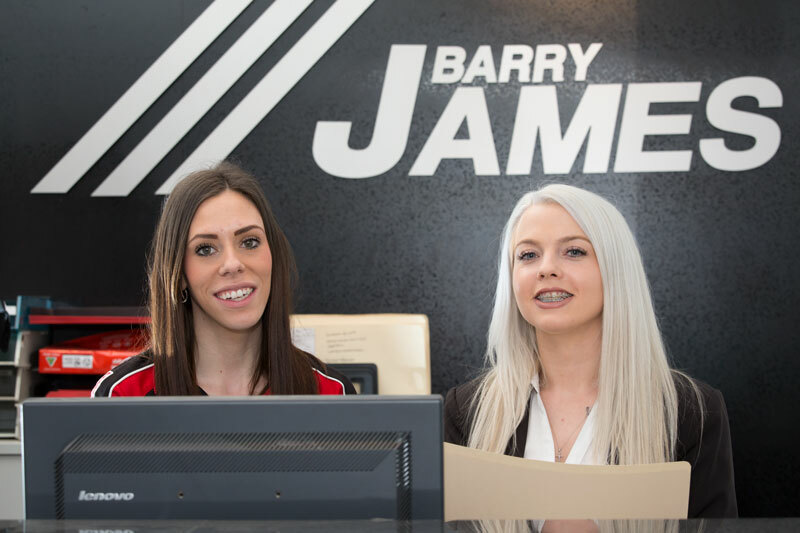 There's no need to wonder about which service is right for you; Barry James is your one-stop shop. How long it takes to repair your car depends on the damage it has sustained. When we give you your quote, we'll also give you an approximate repair time, and we'll keep you updated throughout the repair process. Once your vehicle has been handed over to us, there's no need to be concerned. We will see to your vehicle in no time at all, and take care of any smash repair work that you have. Whether your car was involved in a minor incident or major accident, it will be made as good as new by our team of experts. Do I need to notify my insurance provider prior to commencing repairs? Yes. Depending on the procedure of which your insurance company follows, you would be required to lodge a claim with them first. When we have to give you a quote for the damage on your car, we'll then be able to use that claim number to arrange for your insurance provider to examine the car and confirm some documents so we can get started on your vehicle's restoration. At Barry James, we arrange everything for you. What details to I need to provide Barry James with? We will need the name of your insurance provider and also your claim number. It will help with documentation as well as claim processing to make the procedure as straight forward as possible. Which payment methods can you take? We take all major credit cards (except American Express & Diners Club) however We also take payment via EFTPOS, cash and bank cheque. We accept personal cheques providing you are happy to give your licence and proof of id details. If you direct deposit, a printed copy of the transaction showing the receipt number will suffice. We do have a very strict policy regarding outstanding payments. We cannot release your vehicle without full payment of your excess. We offer a lifetime warranty on all workmanship and manufacturer warranty on all authentic components. Therefore, the car repairs are guaranteed for the time you own the vehicle.